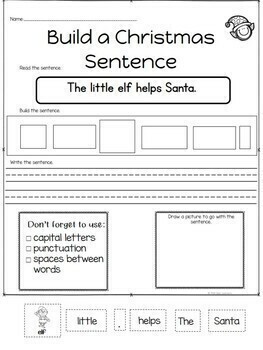 Use a Christmas theme to help your kindergarten, first and second grade students work with sentences. With these fun scrambled sentences and build a sentence worksheets and literacy center activities, they will be writing their own sentences soon. • Print and laminate the word cards. 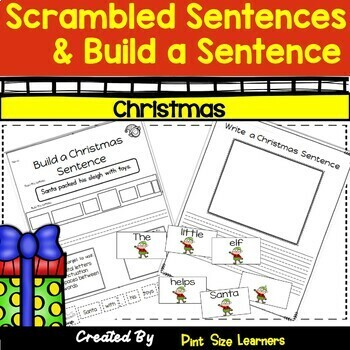 • Students get all the cards with the same picture to unscramble the sentences. 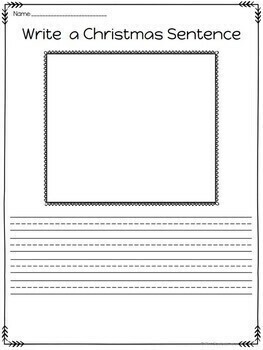 • Students write the sentences they made. • Read the words on the word tiles. • Cut the tiles out. 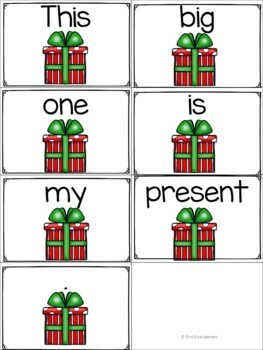 • Arrange some of the words to make a Christmas sentence. • Write the sentence on the next page. • Draw a picture of the sentence.